Here at MartiDerm, we are constantly developing new and exciting products that deliver results and are proven effective through tests and research. 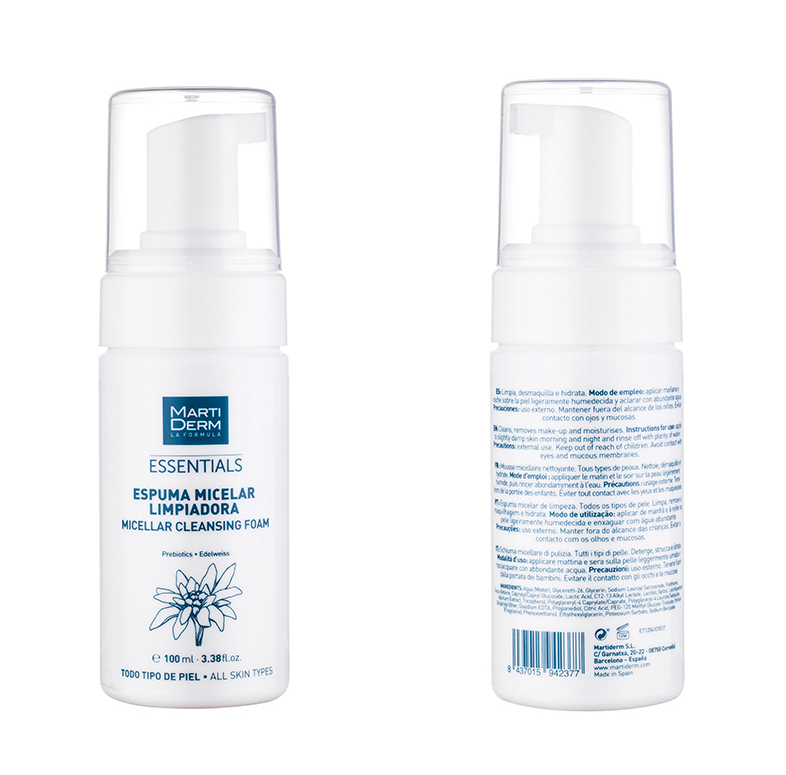 We are so excited to introduce the all new Micellar Cleansing Foam to our Essentials range! 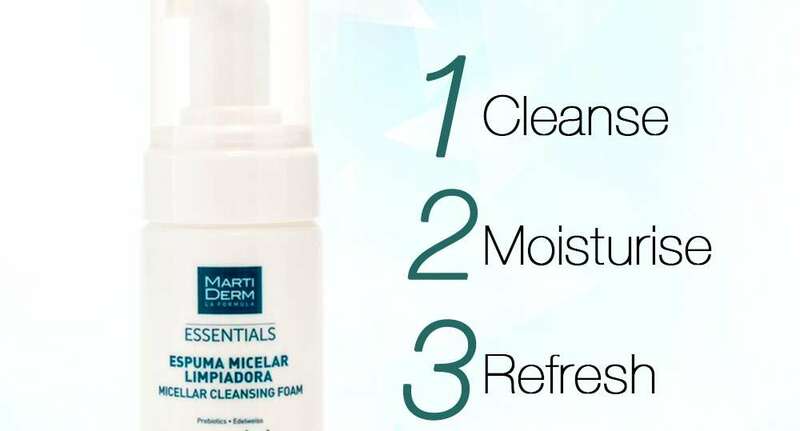 It cleanses, moisturises and refreshes all in one wash.
What is the Micellar Foaming Cleanser and who can use it? Well, it is a cleansing rinse‐off foam that, when applied to wet skin, makes the surfactants dispersed in the foam come together to form micelles and trap particles, oil and other impurities. It can be used on all skin types, whether you have oily, dry or combination skin. Micellar Cleansing Foam is formulated with active ingredients to contribute towards proper facial hygiene. The beauty and rarity of the Edelweiss flower have turned it into a symbol of resilience and elegance, perfect for protecting the skin against the different aggressions it is subjected to during the day. It contains Leontopodic Acid, known for its antioxidant, free radical neutralising and DNA protection properties. Thanks to its high concentration of minerals, it similarly helps to maintain the skin’s balance, significantly reducing its sensitivity and exercising a calming and moisturising action. Not only does this cleansing foam cleanse the skin thoroughly without stripping it of its hydration, it also hydrates and protects the skin, making it perfect as a pre-toning step and a great way to prep your skin for further skincare! INSTRUCTIONS FOR USE: Apply to moist skin, massage gently with the fingertips and rinse with plenty of water. Try out our newest addition to the Essentials family today! For a limited time only, get the FULL SIZED cleansing foam (100ML) FREE with each purchase of above $80! So get shopping!